Today’s markets are characterized by stringent competition, ever-evolving regulations and revenue compulsions. The result: companies are forced to streamline their operations while reducing costs. In most organizations, project teams face increasing demands, which cannot always be fulfilled with additional manpower. Time-consuming manual processes and disparate tools add to the headache. 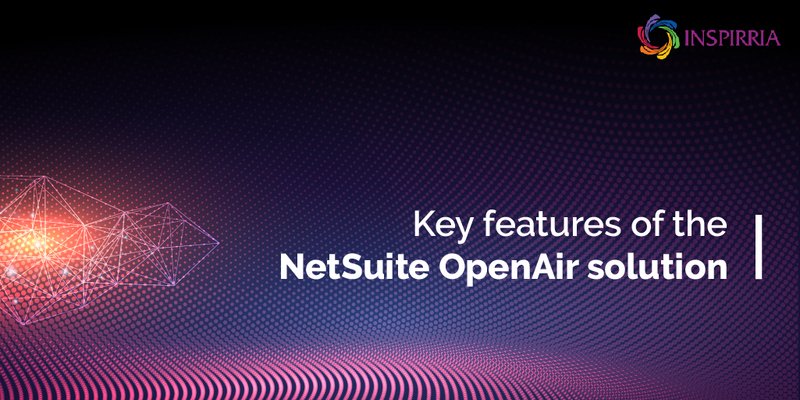 For professional services organizations looking for a seamless interface between their people and clients to improve visibility and manage projects efficiently and effectively, NetSuite OpenAir is the answer. NetSuite OpenAir, a leading professional services automation solution, covers resource and project management, time and expense tracking, project accounting, advanced billing and invoicing – for holistic visibility and control. The powerful SaaS suite supports the entire professional services delivery lifecycle and is suitable for organizations of any size. Enabled with cloud-based delivery, NetSuite OpenAir comes in two versions and offers cost-effective support for mobile consultants and workforce with global, anytime-anywhere access. Not only that, its PSA software supports your entire services organization with real-time visibility and anytime, anywhere access to the tools and information you need. Hence, you gain real-time insights, increase profitability, maximize utilization of resources to make informed and data-driven decisions. •	Project Management: Highly efficient project management capabilities to ensure on-time project delivery with web-based project management capabilities and real-time visibility. •	Project Accounting: A robust billing engine for accurate and on-time billing. The flexible project accounting enables efficient monitoring and management of project revenues. •	Resource Management: Ability to manage your most valuable resources across the globe more effectively and enhance resource utilization to ensure project success. OpenAir has been adjudged as a “leader” in the PSA segment and won accolades in several categories. Recently, OpenAir ranked high in market presence based on the levels of customer satisfaction and likelihood to recommend ratings from real users on G2 Crowd, a leading business solution review platform. Other accolades include categories such as implementation, relationship, results, and usability. In April 2018, OpenAir also introduced a completely new way to navigate and manage service delivery, while enhancing the user experience for all users, including executives to project teams. OpenAir has imbibed customer feedback on improving experience while maintaining functionality into the new user interface. This will only lead to improvement in ‘usability’ ratings in future. Businesses that have implemented NetSuite OpenAir are seeing tangible results including improved resource utilization, enhanced project margins and timely delivery while reducing overheads and speeding up billing cycles. What’s more, the solution helps improve invoicing accuracy and streamline revenue recognition. Is your enterprise ready to join the ranks of over 1,500 companies that are already leveraging the benefits of NetSuite OpenAir? Inspirria is a trusted partner to global companies helping them evaluate, implement and support NetSuite OpenAir solutions. With over 14 years of experience and a strong global delivery network, Inspirria provides flexible and customized NetSuite ERP, NetSuite OpenAir and Integration solutions as a specialized cloud technology services company. We understand and assess your company’s requirements to help you streamline mission-critical processes and create a cloud-driven enterprise.